Netflix Streaming Coming to Nintendo DS? 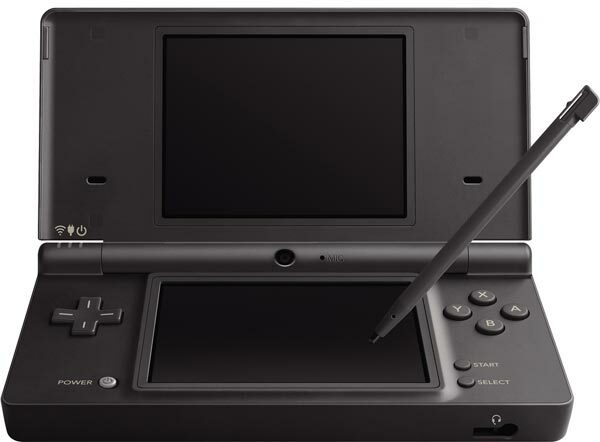 Not content to let Blockbuster dominate the tiny-screen video streaming market, Netflix looks to be gauging consumer interest in its streaming service on the Nintendo DS handheld device. A recent Netflix survey posits a hypothetical situation regarding movie and television streaming on the portable gaming rig. Imagine that Netflix offers its subscribers the ability to instantly watch movies and & TV episodes on their Nintendo DS. The selection available to instantly watch includes some new releases, lots of classics and TV episodes. There are no advertisements or trailers, and movies start in as little as 30 seconds. You can fast-forward, rewind, and pause or watch again. The movies & TV episodes you instantly watch are included in your Netflix membership at no additional fee. While obviously just a survey question at this point, what do you think the odds are of this becoming a reality, Insiders? Does watching full-length films and TV content over a Wi-Fi connection on the Nintendo handheld’s tiny screen sound like fun to you? I personally don’t have a desire to watch a full length movie on my daughter’s DS, but she certainly would be content watching a scooby movie. I love the idea. If they can stream netflix to my toaster, I’m in favor of that. Getting added value for my 9 bucks per month makes me feel it is well worth the money. My boys would love to watch shows on their DSes! I wouldn’t mind watching tv shows and stuff on my DS…come to think of it, I have been known to play Animal Crossing on it for a couple of hours, so I guess I wouldn’t mind watching movies on it either. Well, they said “this spring”…. I guess they were thinking more like the day before summer…. Why didn’t they go for the Wii? This is good for kids since they stare at those things for hours anyway. This is probably just a ramp to get peoples interests and them BAM! streaming to the Wii. Although I doubt it will last long since the Wii can’t do HD. This would be a cool feature, but it might not be used too much because many kids own a DS. That would also be a problem with the PSP, but probably more adults own a PSP. Harry Potter the size of a ant? That is just not cool! Too small. My daughter doesn’t watch her bedroom t.v. because it’s too small. Something you’d put on a kitchen counter.